The numbers say so, the history of the American electorate says so, and Nate Silver says so. 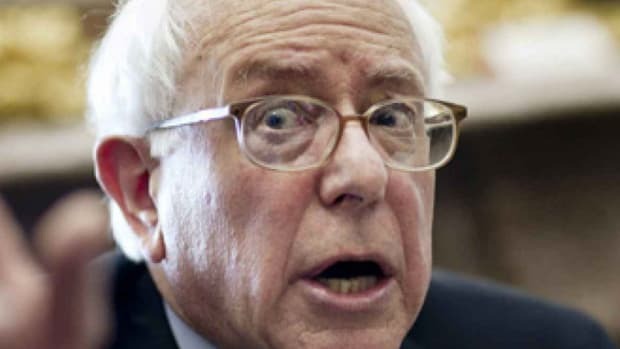 Before we even get started, let me immediately extend a warm welcome to those who are coming here for the first time because they heard that somebody somewhere was saying something mean about Bernie Sanders. 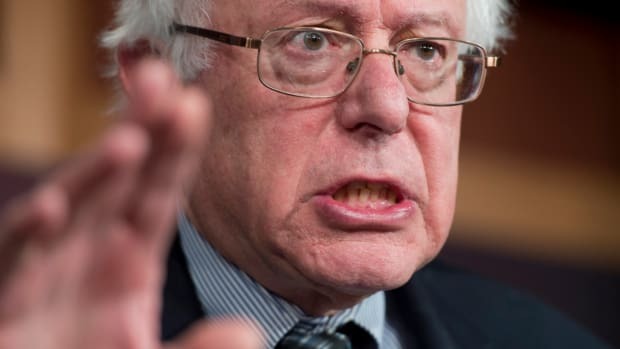 It&apos;s true that if you&apos;re a person who&apos;s unreasonably devoted to the notion of Bernie Sanders becoming the next President of the United States -- that is, to the absolute exclusion of any other option -- then you&apos;re probably not going to like what I have to say. But in the end that doesn&apos;t much matter because there aren&apos;t just facts and overarching polling data but decades and decades of well-documented U.S. voting history behind the argument I&apos;m about to make -- and that argument is that regardless of what "good news" you might be hearing out of some Iowa or New Hampshire polling or how many specious H.A. Goodman or Walker Bragman pieces HuffPost or Salon may run predicting a landslide, Bernie Sanders isn&apos;t going to win the White House. Not in 2016 and not ever. It just ain&apos;t gonna happen. There was a pretty good amount of celebration coming from the social media accounts of the Bernie faithful last week, thanks mostly to a couple of polls that show Hillary Clinton&apos;s lead slipping nationwide and Sanders potentially outperforming her in Iowa and New Hampshire. (Make no mistake: There&apos;s generally celebration coming from the social media accounts of the Bernie faithful because literally any report from any outlet, no matter how dubious, that can be interpreted as positive for Sanders is often touted as undeniable evidence we all #FeeltheBern.) 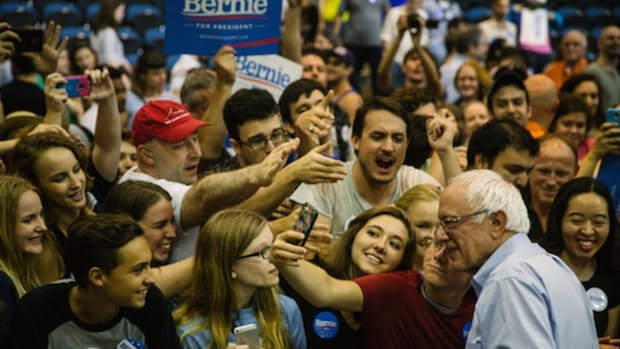 Certainly, a rise in the polls can be interpreted as good news for Sanders, but what we&apos;re seeing right now isn&apos;t even close to the conclusive proof Sanders supporters believe it is that if left up to the people, Bernie can and will emerge triumphant as both the Democratic nominee and the 2016 president -- that it&apos;s "inevitable." No matter Hillary Clinton&apos;s reputation as the devil incarnate on the right or as a corrupt lackey for the establishment on the left -- the very establishment Bernie is supposedly leading a "revolution" against -- the fact is that she still stands a far better chance of securing the Democratic nomination than Sanders. And she stands an overwhelmingly better chance of winning the White House than Sanders does, mostly because Sanders is still pretty much unelectable for the highest office in the land. First of all, let&apos;s see what we mean when we say that a poll shows Sanders surging. According to a Quinnipiac survey, the results of which were released at the beginning of last week, Sanders has 49% support to Hillary Clinton&apos;s 44% in Iowa while a Monmouth poll puts Sanders up by 14 points among voters likely to cast ballots in the Democratic primary in New Hampshire. Sounds impressive -- until you consider that a slew of other polls shows Hillary ahead or Sanders merely catching up to her. With this in mind, there&apos;s really only one person worth turning to for an unbiased analysis of all the polls and what they mean for both Democratic candidates: Nate Silver. His former column and now website, 538, has a track record that&apos;s unparalleled when it comes to crunching the numbers and discerning who will win and who will lose during election season. He&apos;s not a pundit and in fact he tends to make pundits look very, very stupid; what he is, is a guy who uses a sophisticated algorithm to pull together every bit of data he can about a race and determine where it all leads. He&apos;s not simply fair, he&apos;s mathematical -- and he&apos;s almost always right, even when everyone else thinks he&apos;s going to be wrong. And what do his calculations say about Iowa and New Hampshire? Clinton. Like it or not -- Clinton. Silver also says that Hillary Clinton has a "90 to 95 percent" chance of taking the Democratic nomination over Bernie Sanders. He states that barring a new or renewed scandal, which real or imagined is always possible, Clinton will secure the nom and that Sanders&apos;s chances of doing it are actually worse than Donald Trump&apos;s chances of getting the Republican nomination (God help us all). Now of course this doesn&apos;t shut out Bernie entirely, but the numbers according to Silver put him squarely behind the 8-ball. And that&apos;s the issue: Every single thing would have to go right for Bernie Sanders for him to move ahead into a general election and that&apos;s simply not likely. Hell, as of today there&apos;s a new NBC poll out that puts Clinton over Sanders by a full 25 points nationwide (and to further convolute this, another poll shows Sanders performing slightly better against a hypothetical Trump than Clinton). Bernie would need to win in states where he doesn&apos;t stand a chance, like South Carolina and frankly a good portion of the rest of the South. He would need to not only capitalize on his oft-touted hold on the youth vote -- a demographic that quite simply has proven itself to be nowhere near as valuable in terms of mobilizing as older voters, unfortunately -- and his rabid social media following would have to translate into actual numbers. And Facebook and Twitter have a way of making volume (as in sound) be easily confusable with volume (as in size). But just for the hell of it, let&apos;s say everything goes his way and Bernie Sanders somehow miraculously takes the Democratic nomination. Would he stand a chance in the general election? No. No he absolutely wouldn&apos;t. To understand why, all it takes is even a cursory knowledge of the American electorate and its values -- and how that relates to two simple words that are automatically associated with Bernie Sanders because he&apos;s never backed away from them. Those words: democratic socialist. 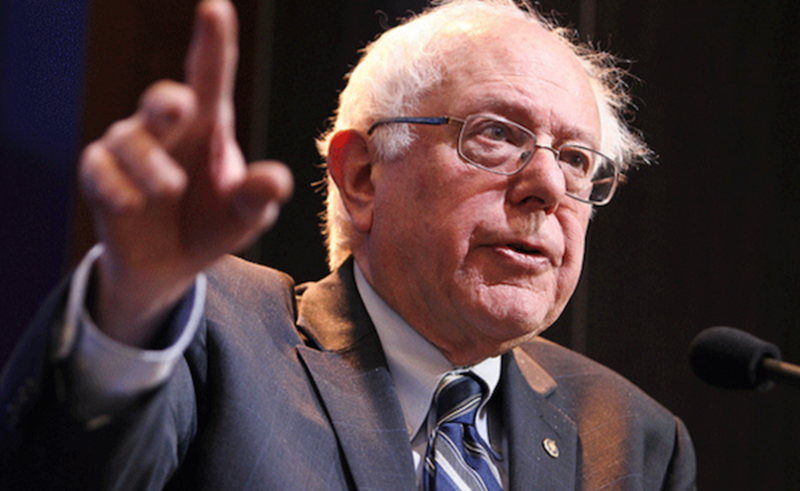 As recently as October, during an appearance on Meet the Press, Sanders was asked whether he&apos;s a capitalist. He responded, no, he&apos;s a democratic socialist. 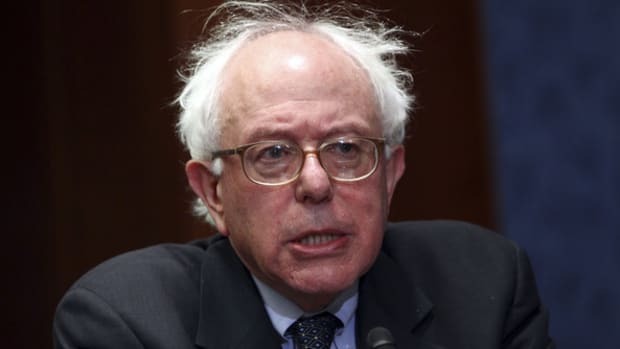 Now certainly intellectual, sober people will understand the difference between Bernie&apos;s "democratic" socialism and the socialism that&apos;s been the archenemy of the American way of life for decades. But this country isn&apos;t made up of intellectual, sober people. Jesus, the right has spent seven years using "socialist" as a pejorative against Barack Obama and he isn&apos;t even close to being one. 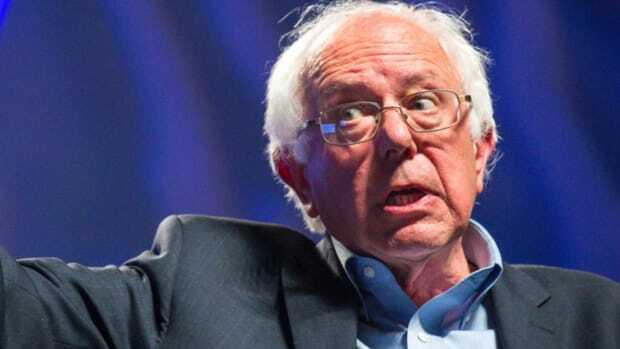 The fact is that in a survey released back in June, a candidate who calls him or herself a socialist would be least appealing to voters, behind even a Muslim, a gay person or an avowed atheist. And again, you&apos;re crazy if you think slapping "democratic" in front of the word "socialist" is going to somehow soften the blow with voters. Good or bad, misguided or not, America is a country of capitalists -- and a candidate calling himself a socialist doesn&apos;t stand a chance in hell. There are other semi-intangibles that would be a huge problem for Bernie Sanders were he to suddenly have a very bright spotlight shined on him. He&apos;s a one-note candidate, a man whose only cause is wealth inequality and who cares about almost nothing else, someone who often gets tripped up when he&apos;s asked to render an opinion or judgment on one of the myriad other issues that would face him as President of the United States. There are those close to him who say he has temperament issues, that his angry, "moralizing scold" persona is well-known throughout Vermont and would a problem for him should it be revealed to the public (and it would be in a general race). Not so intangibly, there&apos;s the issue of fundraising, with Sanders defiantly proclaiming that he would refuse campaign donations from big business and would go strictly grass-roots. That&apos;s admirable, but the question then needs to be asked how he plans to confront and overcome a Republican challenger who isn&apos;t quite so noble. In the end, no matter how you slice it, political reality dictates that who gets chosen as the Democratic nominee needs to be the person most likely to beat the Republican nominee. This shouldn&apos;t even be up for debate. Screw your integrity, because handing this country over to one of the current crop of Republican candidates for president would be suicide. Put simply: You cannot allow a Donald Trump or a Ted Cruz to become President of the United States. If you think there&apos;s a discussion to be had about that, kindly bury yourself in the sand up to your neck and wait for the tide to come in. You can make the argument that the qualities that make Hillary Clinton so polarizing are the very qualities that would make her powerful against a Republican challenger. She&apos;s a political animal and that means she knows how to work around crises and how to weather attacks from the right. 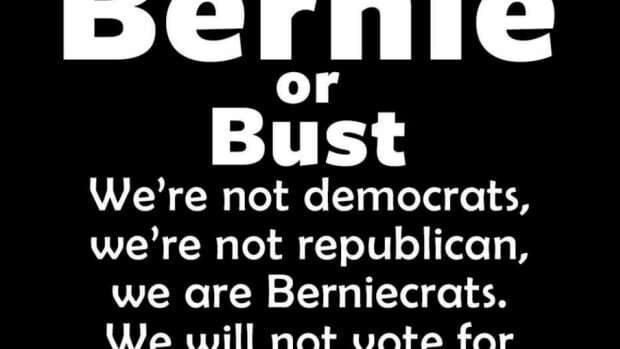 But that&apos;s neither here nor there, because this isn&apos;t about Hillary -- this is about Bernie, and whether he can win. 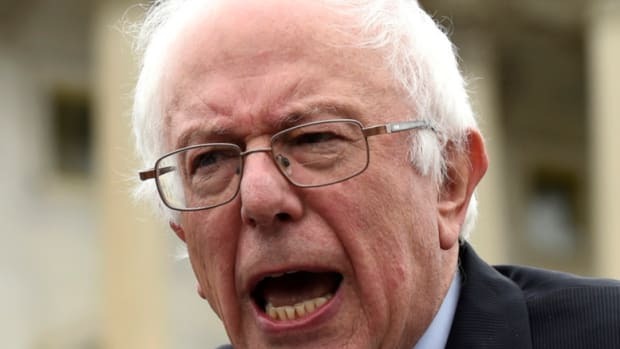 And he can&apos;t, not in a general election, because there are far too many people in this country who would rather see an egomaniacal clown like Donald Trump sit in the White House than an avowed "democratic socialist." Sad but true. Sanders&apos;s determined faithful can dismiss this as fear -- fear that their candidate&apos;s message is being heard so the haters are panicking and have to knock him down -- or maybe concern trolling, but it isn&apos;t. It&apos;s not fear, it&apos;s fact. It&apos;s easy to respect and admire Bernie Sanders and to agree that his principled crusade to confront Wall Street&apos;s oligarchs and return a thriving middle class to America -- however advanced at the exclusion of all other concerns or issues -- is absolutely necessary. What Sanders is fighting for is essential for a healthy democracy and he deserves great credit for thrusting a subject into the spotlight that should be a political gimme for the Democrats. The Republican party is, as Gawker&apos;s Hamilton Nolan wrote at the end of December, nothing more than an engine conceived and designed to help the very wealthy stay that way. What&apos;s more, the Republican party has in recent years morphed into something even more sinister: an anti-intellectualist, openly racist, dangerously xenophobic, hyper-violent would-be junta -- and the Dems, for all their faults, are right now the only thing standing in the way of Republican rule. They&apos;ve got a lot of warts, but if you argue that the Democrats are the same as the Republicans, you&apos;re a fool. Worse than a fool. Sanders is exactly the candidate necessary to keep the feet of the establishment to the fire and his presence in this race is a blessing. But that doesn&apos;t mean he can go all the way. He can&apos;t. And keeping that in mind matters tremendously when the alternative to a Democratic president in 2016 is a raving, hyper-religious or neo-fascist demagogue.